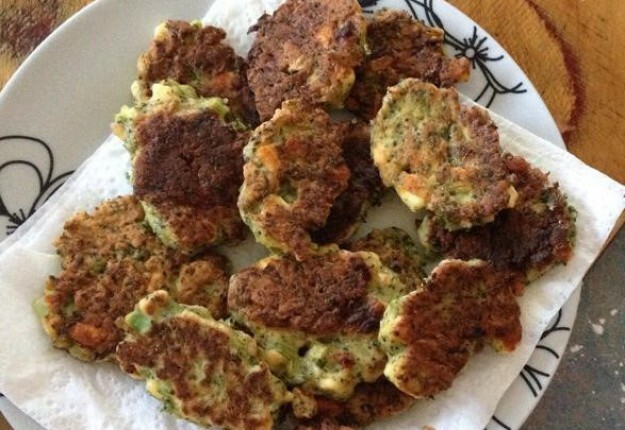 These zucchini fritters are healthy and delicious! Is your bathroom as clean as your kitchen? Might be time to rethink what you’re using. See why Dettol Healthy Clean Bathroom Rapid Foam is rating so well in MoM member REVIEWS. Beat eggs and add remaining ingredients, season for taste. Heat a small non-stick frying pan over medium heat. Spoon 2 x 2 Tbsp of the mixture into the pan (at at time), leaving room for spreading. Cook for 2 minutes each side. So simple and delicious. Plus i have lots of zucchinis. These look delicious and easy enough for me to manage! These look easy to make and I will be giving them a go. Thanks. Very simple to make and will be enjoyed by many tonight. Fab recipe – reckon these would go nicely in the kid’s lunch boxes. looks nice and easy might have to try this today! Nice and simple! Have been wanting to try making veggie fritters and this is the easiest one I’ve seen so far so I’ll be trying this. Thanks for sharing! Would this work if you made them into muffins rather than fritters? I would love the recipe with chilli sauce and a salad,thanks! Sounds delicious; I’m sure to be making a double batch! Love these. And so simple too. Cant wait for my zucchini to fruit! Just what we need healthy fritters for our family thanks!